Joseph A. Kelly was born in Philadelphia, Pennsylvania. He graduated from the University of Delaware, at Newark Delaware, with a BA in English Literature, and earned his Juris doctor degree at Capital University, Columbus, Ohio. 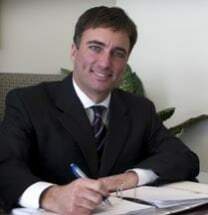 He started his own practice in 1992, representing individuals in the areas of divorce, family law, criminal defense and personal injury. He is the founder of Kelly Law Office LLC. Mr. Kelly is a member of the Columbus and Ohio State Bar Associations and serves as a voting location manager and presiding judge for the board of elections.